Are you looking to remodel your kitchen? It can be hard knowing where to start with a kitchen remodel. Kitchen remodeling can be one of the hardest rooms to remodel in your New Orleans home. 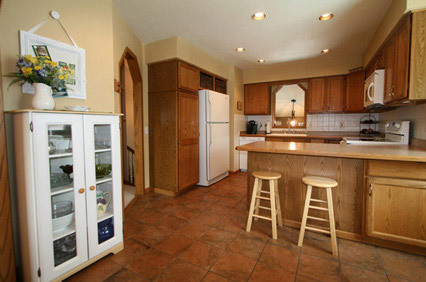 The kitchen is the center point of any home. It’s where the family gathers, where the meals are prepared, where the food is kept and where the family eats. One of the most important things to consider in a kitchen remodel is functionality. Lowe’s Construction, LLC is a leading contractor for kitchen remodeling services in the New Orleans area. Our kitchen designers are creative and inventive when it comes to designing beautiful and fully functional kitchens. Our New Orleans kitchen remodeling contractors will be with you every step of the way from the design and layout of your kitchen cabinetry to kitchen countertops, flooring, kitchen fixtures, backsplash, appliances and more. Lowe’s Construction, LLC is the kitchen remodeling contractor that New Orleans homeowners can trust for quality.